Are you aged between 12 (school year 8) and 17? Are you interested in making new friends? Are you interested in Aviation? Then the Royal Air Force Air Cadets at Biggin Hill could be for you. A voluntary run playgroup for families with babies and preschool aged children. Every Monday 10.00-12.00 drop in during term time, to the Congregational Church Hall, on Fullers Hill. Now Open on King George’s Field! The installation of outside gyms has seen a huge increase over the past few years and they have become a popular and well used feature of many local parks. Westerham Town Council has a small number of full and half allotment plots for rent at each of their 3 sites: Bloomfield, Currant Hill and Farley Allotments. 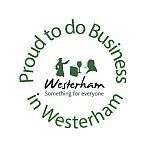 Westerham Town Council invites applications for general charitable purposes for the benefit of the residents of Westerham parish. The Westerham Town Partnership, the Squerryes Estate and the National Trust collaborated to sign a way-marked trail between Westerham and Chartwell. The trail covers about two miles, and takes about an hour. (opening times vary) was the much-loved Churchill family home from 1922 and the place from which Sir Winston drew inspiration until the end of his life. Explore this fascinating house, the childhood home of General James Wolfe. Discover the dramatic battle that won Canada for the British and learn of Wolfe’s tragic death, in our exhibition.